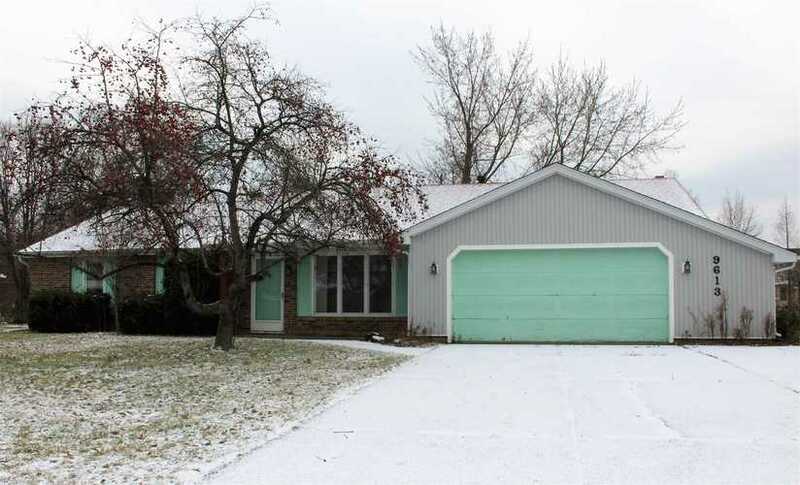 This 3 bedroom, 2 bath home has great potential and is priced well under the market to compensate for needed updates. Nice open floor plan with enclosed porch on a nice big lot with private back yard. Roof and vinyls siding estimated to be 5 years old. Pella windows, six panel solid pine doors, gas log in masonry fireplace. Extended garage. Home needs interior paint, flooring, and new appliances. The enclosed porch has some missing and damaged soffit and fascia from storm damage. Home is being sold in "As-is" condition. No FHA or VA Terms. Directions:Enter Deerfield Estates off Illinois Road onto Caribou Dr then turn left on Reindeer, then right Buckskin and right Yearling.